Paul Draper is an interior designer who has collaborated with many of the great architects like Frank Welch, Max Levy, Overland Partners, and James Langford. 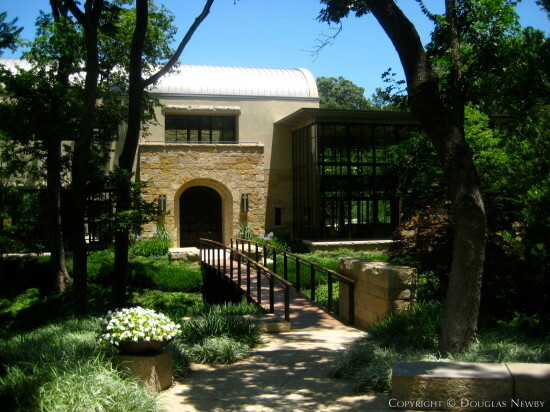 His work on modern homes, Texas modern homes, and classic homes includes fabricating furniture, curating art, designing rooms and designing fixtures and finishes. His residential work can be found in homes in Highland Park, University Park, Lakewood, Preston Hollow, White Rock Lake, Turtle Creek, Bluffview and downtown. Paul Draper makes a very determined effort to integrate the interior design within the style of the architecture, and the style of the client and architect, rather than imposing a signature style. 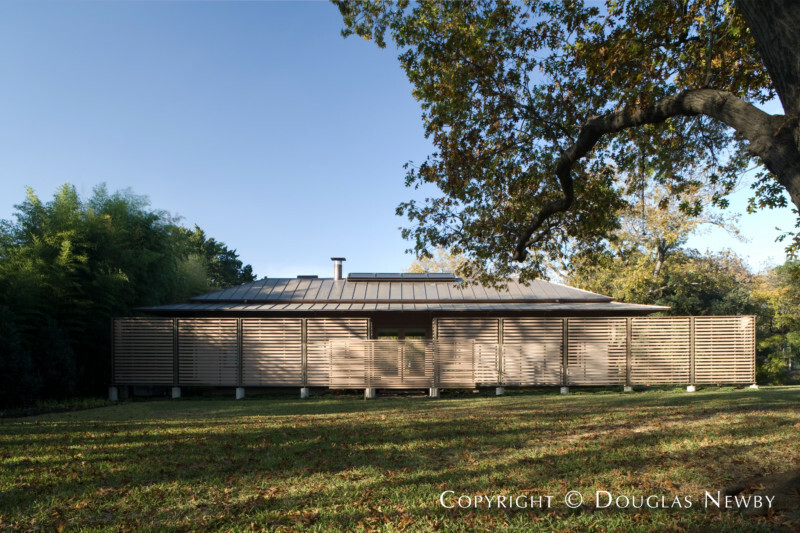 Paul is a good example of why the best projects are the result of the interior designer working closely with the architect from early on in an architecture project. The living room of this modern home is reminiscent of the grand volumes found in the public spaces of Bud Oglesby-designed homes. 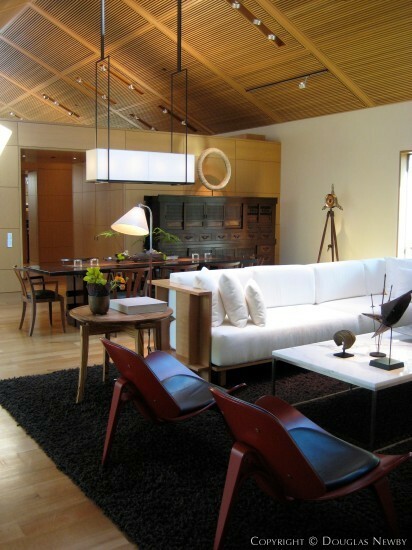 Here Paul Draper deploys modern furniture that reflects the modernity and warmth of the home. The deep sofa with dark wood responds and contrasts with the light wood plank walls. 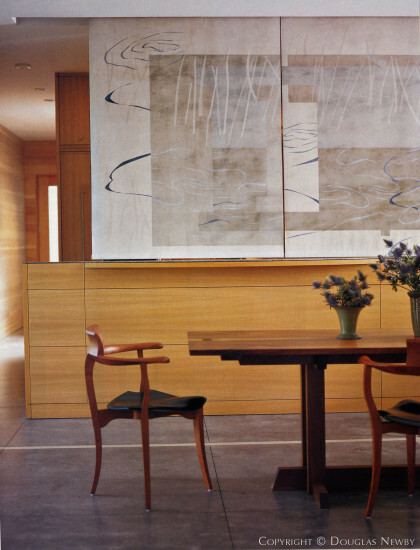 Privacy is added to the dining room with a Julie Cohen hand-painted drop-down screen. 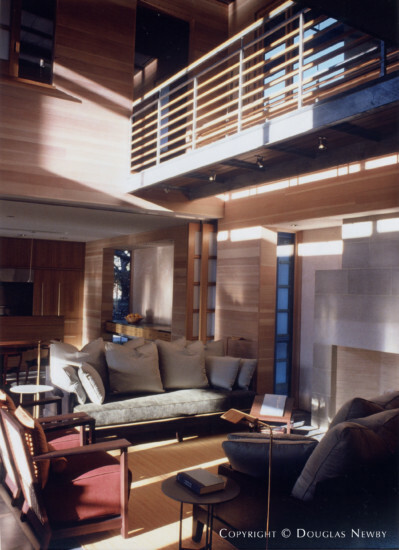 Interior designer Paul Draper selected a George Nakashima table that adds an added note to the Japanese influence of this modern home that includes the large scale Shoji screen that can divide the living room from the dining room. Paul Draper, interior designer, designed the interior of this Place des Vosges home in the Turtle Creek neighborhood. 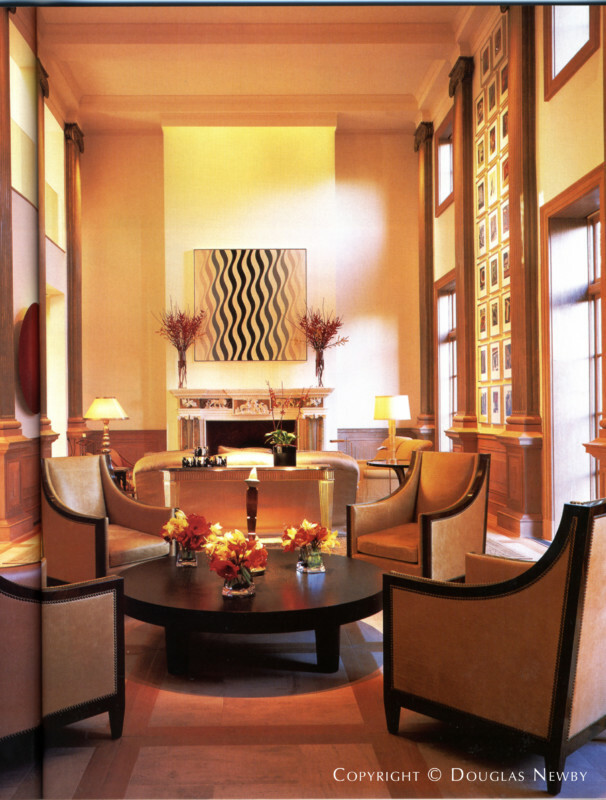 The perfectly scaled, open and intimate sitting room at the end of the living room has clean and subdued furniture that acts as a backdrop for a world renowned art collection. The classical modern Corbusier lounge chairs bring a contemporary edge to the wood paneled octagonal media room. 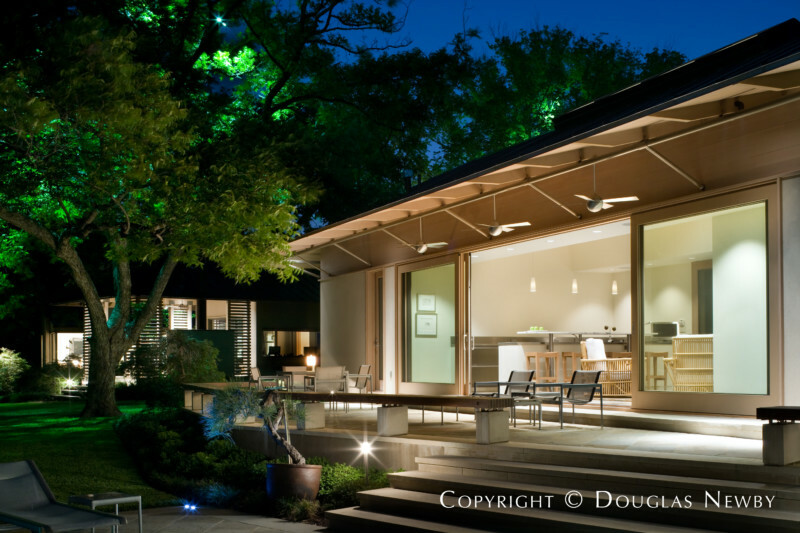 This modern home, sited in front and in back of a creek, was designed by architects Overland Partners. The barrel-vaulted metal seam roof, stucco and a Leuders limestone entry add texture that reflects the Bluffview neighborhood. Paul Draper designed the staircase, utilizing stone slabs from Indiana. Overland Partners designed the metal balustrades. For this modern Bluffview home Paul Draper traveled with the client to New York, Los Angeles, San Francisco, Paris, Brussels and Antwerp to select artwork and furniture. The Living room has great scale with a band of modern windows, floor-to-ceiling windows, and a very large 18th century French limestone fireplace surround. 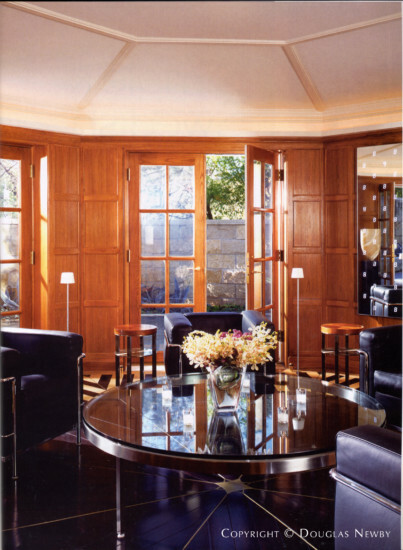 In this room interior designer Paul Draper designed the coffee table made of bronze and rosewood and placed in front of the vertical panel of windows overlooking the creek and gardens. The living room floor continues the pattern of Indiana limestone found throughout the first floor. 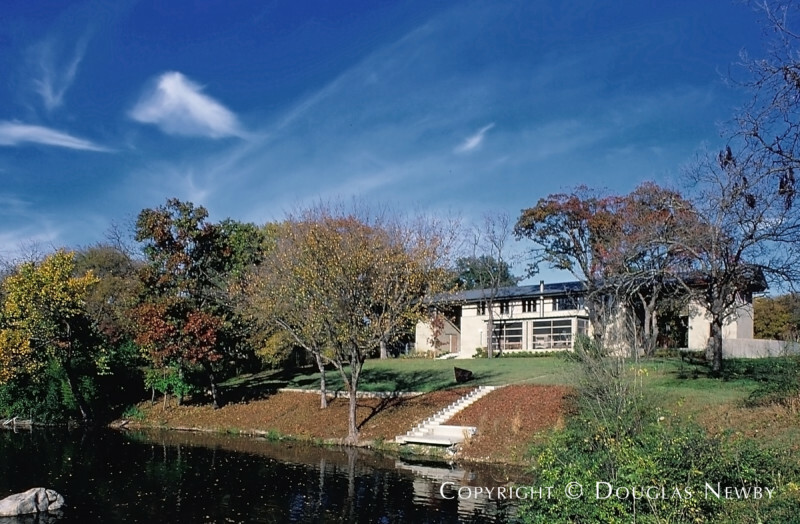 Paul Draper collaborated with architect Frank Welch in creating the interior design of this Texas modern home in the Devonshire area. 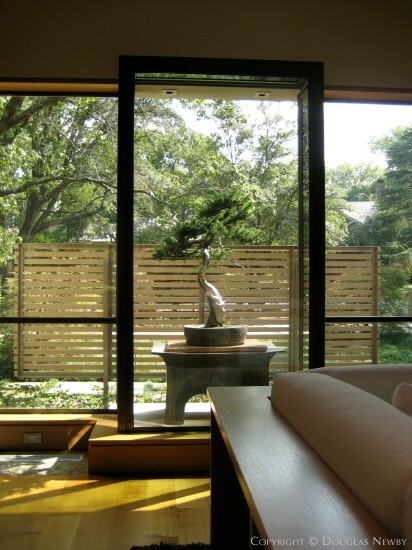 A good example of this collaboration is the design to display outdoor living Bonsai trees inside the home. 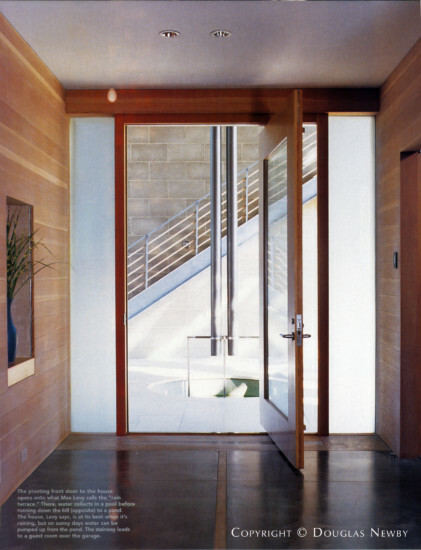 Paul Draper designed the middle panel of the three floor-to-ceiling glass panels to an inverted rectangular bay window. This inverted bay allows outdoor Bonsai trees to be enjoyed equally from the interior and exterior spaces. The Paul Draper-designed dining room table is made out of one large piece of wood sourced from the Philippines and he designed the base of the table for this modern home. The sectional seating of old growth white American oak for the living room of the Frank Welch designed Texas modern home was designed by Paul Draper. Interior Designer Paul Draper designed the open tread staircase and selected the wall structure created by artist Sheri Owens to subliminally suggest a Chinese ink painting of a waterfall. 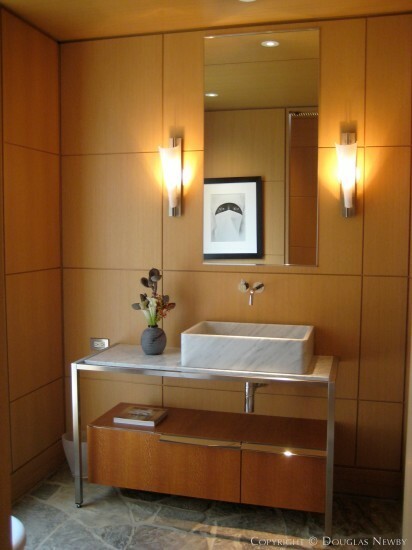 Paul Draper selected and composed the light fixtures, sinks, and cabinetry in the bathrooms of the Frank Welch-designed modern home. 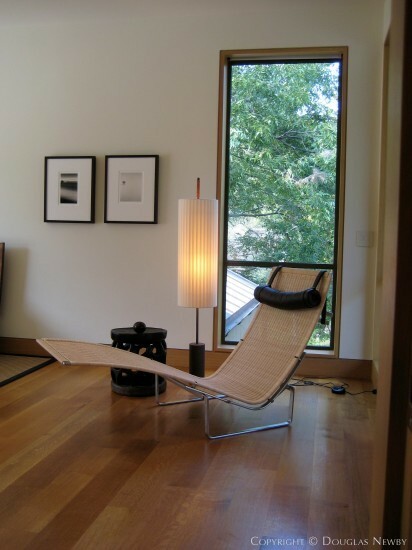 Paul Draper utilizes Scandinavian lounge chair in a guest room of house designed by Frank Welch, FAIA. In a guest room Paul Draper collaborated with Frank Welch as he selected the fixtures, cabinetry, and designed the room to allow views of the birds in the treetops. 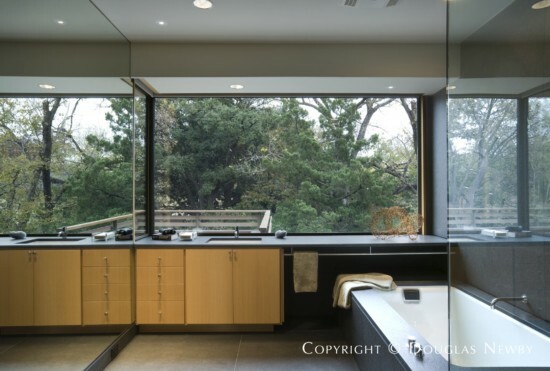 The mirror and windows wrap the room flush with the cabinetry.